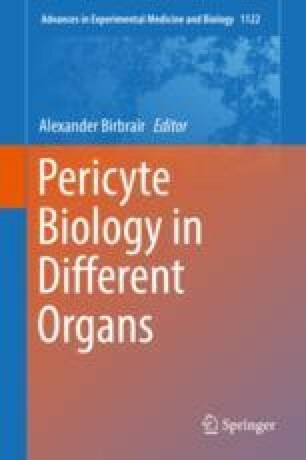 This review chapter describes the current knowledge about the nature of pericytes in the gut, their interaction with endothelial cells in blood vessels, and their pathophysiological functions in the setting of chronic liver disease. In particular, it focuses on the role of these vascular cell types and related molecular signaling pathways in pathological angiogenesis associated with liver disease and in the establishment of the gut-vascular barrier and the potential implications in liver disease through the gut-liver axis. Marta Ramirez and Nuria Pell are Co-first authors. This is supported by grants from the Spanish Ministry of Economy and Competitiveness (MINECO; SAF2014–55473-R and BES2015–071399); the Spanish Ministry of Science, Innovation and Universities (SAF2017–87988-R); the European Union FEDER funds; the Spanish Association Against Cancer (AECC); the Worldwide Cancer Research Foundation; and the CERCA Programme (Generalitat de Catalunya, Spain). CIBERehd is an initiative from the Instituto de Salud Carlos III. Disclosures All authors declare no competing financial interests.